Now conducting research into podiatry assessment methods, Dr Peta Tehan started her career at, quite literally, the opposite end. “I actually started university enrolled in psychology!" Peta knew that she wanted to work in health care, and she liked that a podiatry degree would give her a direct route into the clinic. She made the switch and got her first job in a regional practise straight out of uni. Later on in her career, Peta started working at the High Risk Foot Clinic at the John Hunter Hospital. When a patient comes into a podiatry clinic, one of the assessments they will undergo is that of blood flow. “It’s just so important in terms of wound healing." “So many of our patients had poor blood flow but we didn’t know it or we weren’t screening properly for it, or it was an afterthought." While there are a number of tests available to use, current national guidelines still only recommend using the most basic; palpate a pulse. “If you can’t do that, then the patient is often sent for Duplex ultra-sound testing to check for blood flow." “That costs Medicare over $300, and a lot of clinics just don’t have the resources as it’s such a specialist method." “There are alternate methods … but when I was using those, I just kept seeing them fail." When Peta got involved with UON’s Podiatry Teaching Clinic, she met an important mentor in Associate Professor Viv Chuter. “I remember telling her about a wound care course I did and she got so excited at the idea that I was interested in doing more study." “Then I started talking about how frustrating all the blood flow tests were, how we couldn’t solve this fundamental problem." Peta compared three different methods of testing blood circulation to the gold standard: the duplex ultra-sound. She compared the accuracy to these methods across two key cohorts: diabetic vs non-diabetic. “I saw that all three tests were less accurate in the diabetes patients." “It just goes to show that this population which podiatrists deal with all the time is very difficult to assess, and that they have very specific problems with their condition which affects how we determine blood flow." Throughout her studies, Peta maintained her clinical practise, and still tries to fit in at least one day a week in the clinic. Peta also mentors her own set of students, through UON’s unique Podiatry Teaching Clinic, which was established by Professor Viv Chuter, Nicole Martin and Peta herself. Podiatry students are obliged to do 1000 hours of practical experience throughout their undergrad degree, but it can be stressful and expensive finding long term placements. Through the teaching clinic, students can get up to 600 hours’ worth of their required experience, and they are providing a direct service for the community. They’re also freeing up local podiatrists’ time to work in specialist clinics, where they are needed the most. “The students do everything. They get the patient, bring them in, take their history, do the treatment and take the notes. They then present the patient to me so I can oversee everything." Peta is unique, as she is both a clinician and an academic. This is a strength for both research and teaching pursuits. She has worked in a variety of areas within podiatric practice for over ten years, including private practice in both rural and regional areas, and public practice in a High Risk Foot Clinic. This gives her the real world experience that students appreciate in their clinical education, and furthermore drives her passion for clinically translatable research outcomes. Peta has post graduate qualifications in wound care from Monash University and frequently lectures to Wounds Australia and the local Hunter Wound Interest Group. Peta has been invited to edit the latest edition of the Therapeutic Guidelines on "Wound Care" - the high risk foot chapter. Peta's passion for wound care education was recognised by a Faculty of Health and Medicine community engagement award in 2016. Her PhD (awarded August 2016) focused on podiatrists role in vascular assessment of the lower limb and assessing the validity of non invasive vascular assessment techniques in Diabetes. Peta also developed a novel vascular screening pathway for community based patients. Peta's post doctoral research is building upon her thesis, continuing to develop the evidence base for non-invasive vascular assessment in the lower limb in different, vulnerable populations, including Aboriginal and Torres Strait Islander people. Furthermore, she recently completed a six month international post-doctoral fellowship with Professor Keith Rome at Auckland University of Technology which was focused on retail footwear use in women with rheumatoid arthritis. Peta is currently undertaking research investigating early and accurate identification of the presence of arterial disease in people with diabetes, determining prevalence of peripheral arterial disease in Aboriginal and Torres Strait Islander people, assessing factors contributing to wound chronicity in people with diabetic foot ulceration including dietary intake, and is also completing research examining clinically detectable vascular disease in people with rheumatoid arthritis. These projects have attracted both internal and external competitive funding. Peta was awarded "Best New Investigator" at the New Zealand Podiatry Conference in 2012, and best oral abstract at the Australian Diabetes Association Annual Meeting (2015 - co-author). 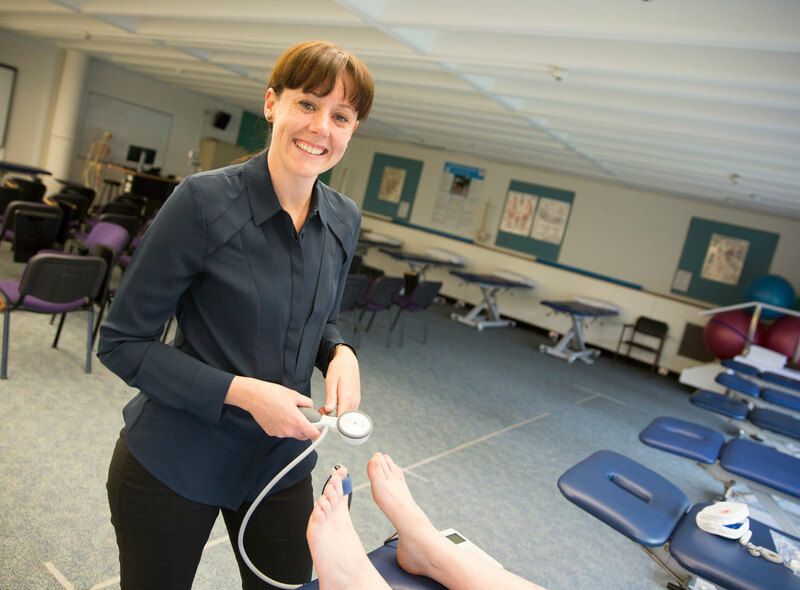 Peta has contributed to the podiatry program significantly over the years, and played a pivotal role in the establishment of the Newcastle student-led podiatry teaching clinic, within the Newcastle Community Health Centre. Peta has collaborated with prominent local vascular surgeons, Dr Alan Bray, AO and Dr Matthew Sebastian for her project investigating the validity of non-invasive vascular testing methods in detecting peripheral arterial disease in people with diabetes. Peta has also previously collaborated with Queen Margaret University's (UK) Dr Derek Santos and is currently collaborating with Professor Keith Rome from Auckland University of Technology (NZ), Professor Nicola Dalbeth from the University of Auckland and also with Mr Martin Fox, a vascular specialist podiatrist based in Manchester, United Kingdom. © 2019 The Author(s). Background: Foot pain and deformity are common in people with rheumatoid arthritis (RA). Previous research has identified that women with RA seek retail footwear to alleviate their foot problems. The specific footwear features that women with RA require, and what would help them to find shoes that meet these requirements, are unknown. This study aimed to determine the factors that influence the choice of appropriate retail footwear by women with RA. Method: An overarching qualitative approach was taken, using reflexive thematic analysis of conversational style interviews. The interviews explored experiences and use of retail footwear in 20 women with RA. The interviews were digitally recorded transcribed verbatim and analysed using a reflexive thematic framework. Results: Women with RA sought retail footwear which had adequate cushioning, width, a flexible sole, lightweight, were made from breathable materials and were easy to put on and take off. 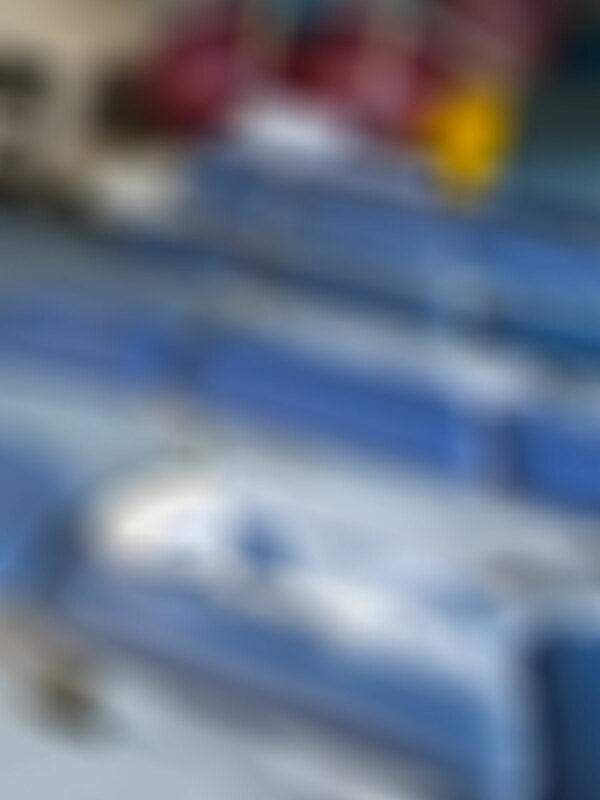 However, this choice was driven by the need for comfort, cost and usability, with aesthetics being less of a priority. Despite having opinions on what criteria they felt that they needed, these women did not feel empowered to make good choices about purchasing retail footwear for symptomatic relief. Furthermore, they did not receive the necessary support from podiatrists and shoe shop staff. Conclusion: Women with RA have clear ideas about what features a retail shoe should have to achieve comfort. There is a constant compromise between achieving comfort and their feelings about their appearance and how they feel others perceive them. Women with RA describe negative experiences with shoe shop assistants and podiatrists leading to poor footwear choices. Both retail staff and podiatrists need increased understanding about the particular problems that women with RA experience. © 2018, © The Author(s) 2018. The postexercise ankle¿brachial index (ABI) is recommended in patients with normal resting ABI when peripheral artery disease (PAD) is suspected. The aims of this study were to determine the comparative diagnostic accuracy of the resting and postexercise ABI for detecting PAD, and, the effect of the presence of diabetes on these. Three methods of interpretation currently in use were also investigated: a reduction in postexercise ABI by >20% compared to resting ABI, an ABI value of =0.90 postexercise, or a reduction in systolic ankle pressure of >30 mmHg postexercise. This retrospective study used colour duplex ultrasound (CDU) as the reference standard. In 278 limbs (whole group), the resting ABI had an overall area under the curve (AUC) of 0.71, with the postexercise ABI yielding a similar diagnostic accuracy of AUC 0.72. In the non-diabetes group (n=171), the resting ABI had an overall AUC of 0.74 and the postexercise ABI had a similar AUC of 0.76. In the diabetes group (n=107), overall accuracy was reduced compared to the non-diabetes group, with the resting ABI having an overall AUC of 0.65 and the postexercise ABI yielding a similar accuracy with an AUC of 0.64. The overall diagnostic accuracy of the postexercise ABI for diagnosing PAD was not greatly improved compared to resting ABI. Given the lower overall diagnostic accuracy in the diabetes group, both the resting and the postexercise ABI results in diabetes populations should be interpreted with caution. There is a risk of undiagnosed disease if relying on these results alone to determine lower limb vascular status. © SAGE Publications. The toe-brachial index (TBI) is used as an adjunct to the ankle-brachial index (ABI) for non-invasive lower limb vascular screening. With increasing evidence suggesting limitations of the ABI for diagnosis of vascular complications, particularly in specific populations including diabetes cohorts, the TBI is being used more widely. The aim of this review was to determine the sensitivity and specificity of the TBI for detecting peripheral artery disease (PAD) in populations at risk of this disease. A database search was conducted to identify current work relating to the sensitivity and specificity of toe-brachial indices up to July 2015. Only studies using valid diagnostic imaging as a reference standard were included. The QUADAS-2 tool was used to critically appraise included articles. Seven studies met the inclusion criteria. Sensitivity of the TBI for PAD was reported in all seven studies and ranged from 45% to 100%; specificity was reported by five studies only and ranged from 16% to 100%. In conclusion, this review suggests that the TBI has variable diagnostic accuracy for the presence of PAD in specific populations at risk of developing the disease. There was a notable lack of large-scale diagnostic accuracy studies determining the diagnostic accuracy of the TBI in detecting PAD in different at-risk cohorts. However, standardised normal values need to be established for the TBI to conclusively determine the diagnostic accuracy of this test.